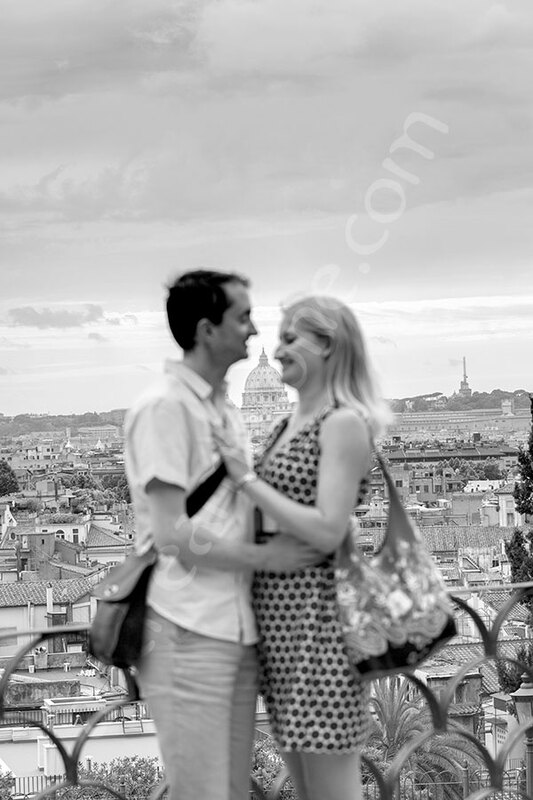 A beautiful surprise wedding proposal taking place on Ponte Castel Sant’Angelo. It was perfectly arranged and the surprise effect worked out well! I had to dodge a little bit the bystanders as they walked by but the moment was just perfect when it happened. A pleasant walk followed in a very relaxed atmosphere which took us from the bridge to in around Parco Villa Borghese. 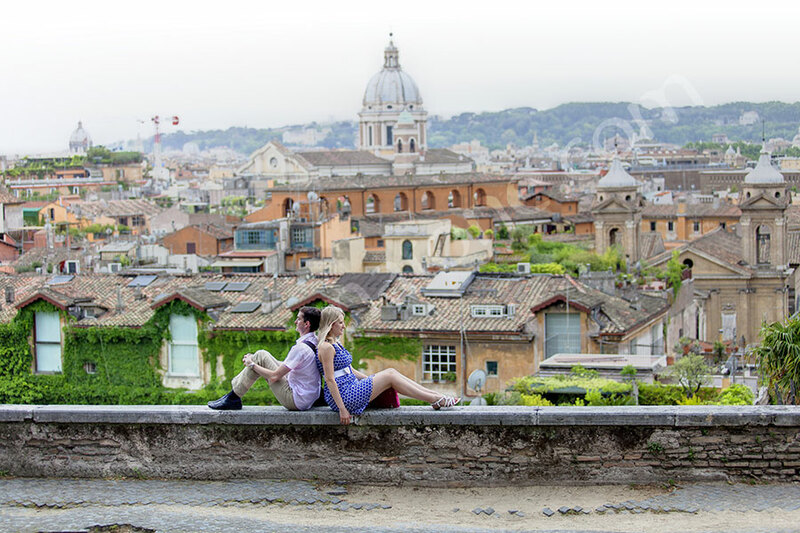 The park is a great location to have beautiful greenery as background and beautiful scenery of Rome from above. We took some pictures just laying down on the grass and leaning on trees. The engagement photography session ended in Piazza del Popolo where we photographed the beautiful water fountains capturing the stunning atmosphere that you can breath in the piazza. The obelisk and the Egyptian statues all contribute in setting up a truly unique experience. 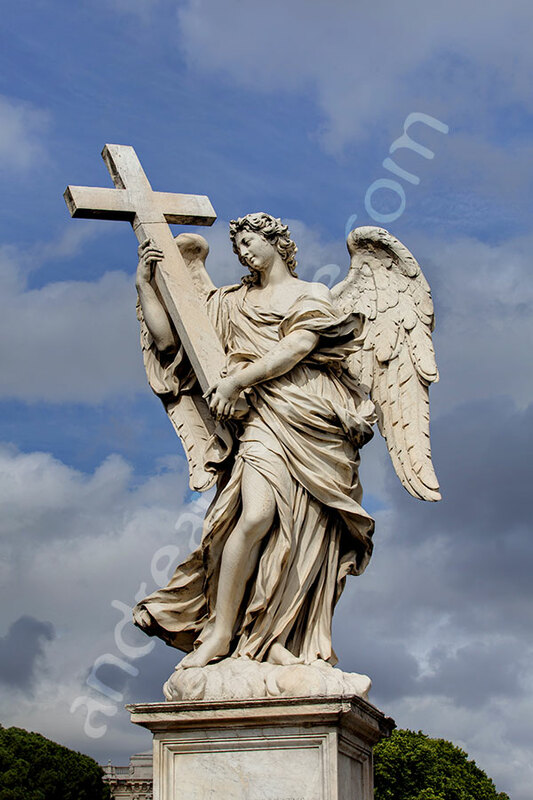 There are so many inspiring church which also proved to be great backdrops. Thank you for allowing me to photograph your wedding proposal! 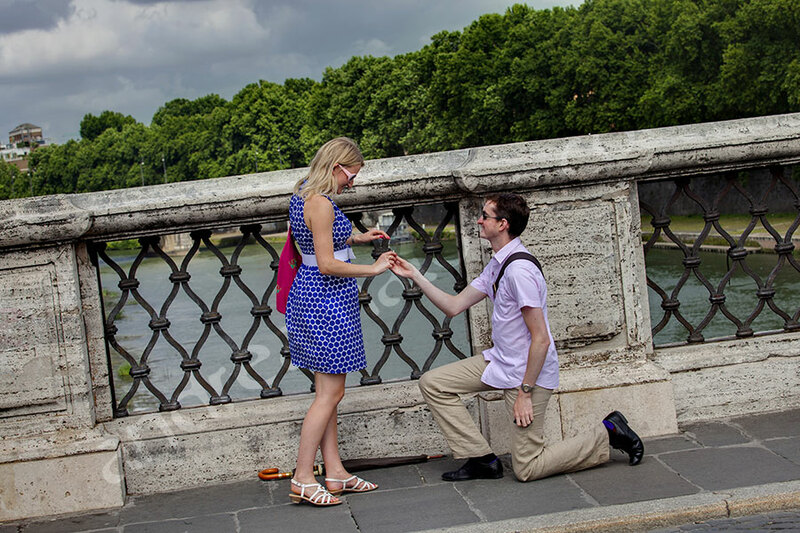 Asking for marriage on Castel Sant'Angelo bridge. A very romantic event with an engagement session following right after. Taking the tour through Villa Borghese park all the way to Piazza del Popolo.